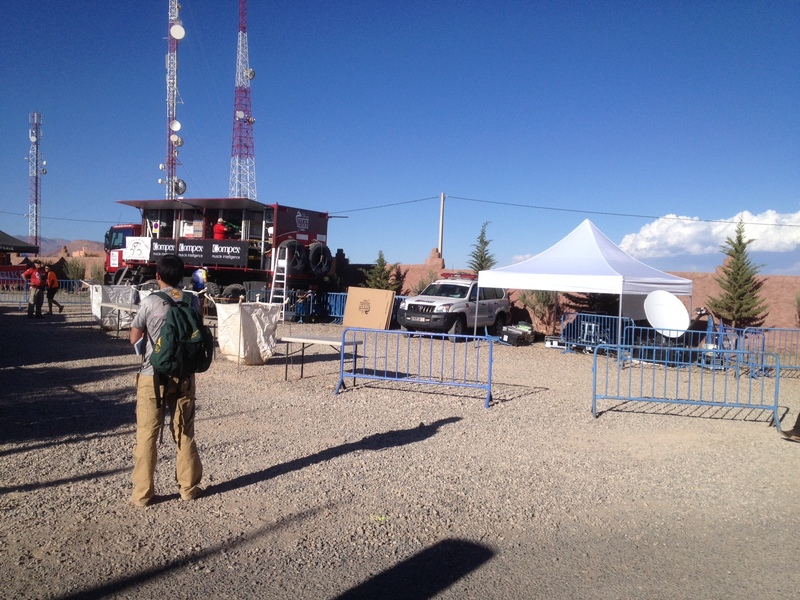 ATM: OB van broadcast production in Morocco. We have SNGs and FLY AWAYS HD and SD ready to connect you in Morocco and prepared for doing lives or play outs in any format including if needed, live facilities, IFB, lighting or satellite capacity. We are specialized in sport productions and some examples of that are the latest works we have done are TITAN DESERT during the last years, FIFA WORLD CUP 2010, all the matches of the Spanish Football Federation, the AUDI MEDCUP Circuit or the WORLD SERIES by Renault. ** Additionally we have offices in Spain, Barcelona and Madrid and in Miami with possibilities for play-outs HD/SD in any format, live transmission, edits, engs or any service you might need.